Dr. Dias grew up in Porto Alegre, Brazil where he attended Medical School and where he met his wife Adriana. With an interest in women's health, he completed residency in Obstetrics and Gynecology followed by a Breast Oncology Fellowship. Dr. Dias was awarded the AACR/Avon Scholarship in Breast Cancer Research in 2005 and relocated to Nashville. His postdoctoral research fellowship resulted in several publications and national presentations. Nashville became his new home and in order to regain access to clinical medicine in the US he completed residency in Obstetrics and Gynecology and a Breast Oncology Fellowship at Vanderbilt University. 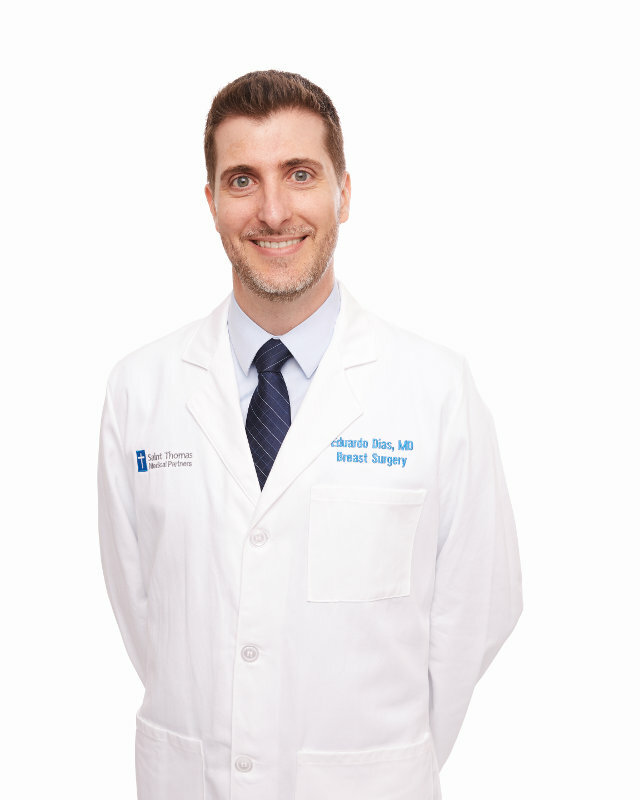 Dr. Dias joined Saint Thomas Medical Partners Breast Surgery in 2017. His extensive training, research experience, and lifelong dedication to women’s health make him uniquely suited to provide expert and compassionate care for women with breast cancer and other breast diseases.